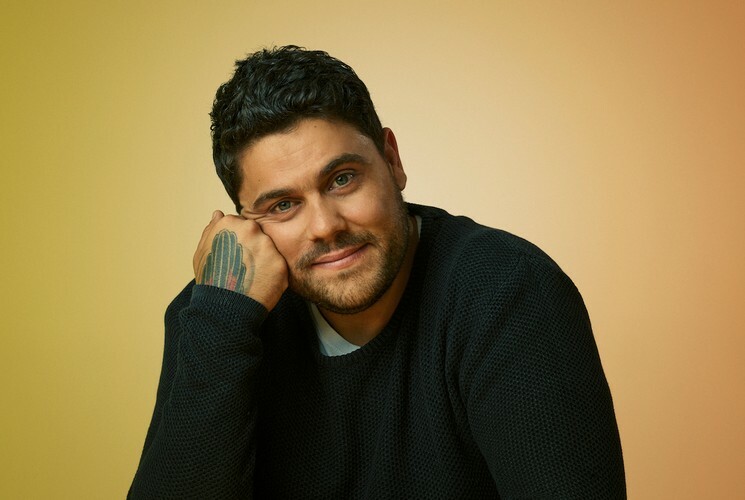 ARIA Award-winning musician Dan Sultan today has released Nali & Friends, a new album of children’s music and stories, as well as announcing his first kids shows. Nali & Friends is a tale about unconventional, oddball animals from different parts of the world. Co-written with longtime friend and collaborator, filmmaker Rhys Graham, the stories were inspired by the pair’s journey through Uganda and Kenya working with The Thin Green Line Foundation - an international organisation that provides welfare and support to Wildlife Rangers. It was during this trip that Dan & Rhys had the opportunity to get up close with baby animals and observe their quirky personalities. The resulting album is bursting with playful, upbeat songs, interwoven with heart- warming stories about growing up, protecting our natural world, and learning to accept difference. Whilst Nali & Friends is Dan’s first full-length kids album, he is no stranger to the genre - having previously collaborated with children’s music icons The Wiggles and Play School. “It was one of the most rewarding musical experiences I’ve had to date. I like a lot of different types of music, and what was really refreshing for me was this opportunity to dip into so many musical styles, to represent the various characters’ stories. There’s everything from calypso to flat out honky-tonk to cinematic ballads with strings. Artistically it was very fulfilling. I’m in some rare form at the moment, I’m feeling really good”. During the shows, young audiences are introduced to a cast of colourful characters. There are giraffes who think they’re elephants (‘Tembo’); blobfish who just want to rock’n’roll (‘Bobby’); easily frightened frill-necked lizards (‘Gulamana’); and flatulent baby gorillas (‘Bwindi’). Nali and her new pals learn about friendship, kindness and how to care for the world around us. Nali & Friends invites young children into a world where they can sing, dance, laugh and learn.